My 27th birthday was on Friday so as a fun post I am going to share 27 random facts. 1. I get great enjoyment out of using every lost drop of products especially toothpaste. It's kind of an obsession. 2. I watched the whole first season of Girls this weekend because it was xfinity's watchathon week. It's hilarious. 3. For my birthday, Matt got me a gift he isn't giving to me until April 24. And the "event" isn't until June 4. This is greatly irritating. 4. I've already tried to google what is going on June 4. I've had no luck. 5. My cousin and I share the same birthday, but he is 5 years older than me. 6. I was also born on the day of my cousin Jill's First Communion. She was upset that my dad, her uncle and godfather, couldn't stay for the whole day with her. 7. I finally signed up for The Skimm. It's awesome and it's a great way to get the most important news in like 5 minutes. Plus it is there waiting for me when I get to work each day. You can sign up for it here. 8. I think recipe following is mostly optional. Mostly because I don't have all the ingredients and I only like to go to the grocery store once a week. So recipes get used for "inspiration" for whatever I have left in my fridge. 9. Measuring ingredients is overrated. Of course, I measure important ingredients but most of the time I just dump things in. It keeps the number of dishes I have to wash down. 10. In college, I slept in my jeans all the time. They are warm and I would come home from studying late at night and exhausted and not take them off. In the mornings, I sometimes would just get up and put on a new shirt and go back to classes. 11. I took my laundry home until I moved into my last apartment and got my own washer and dryer. I hated paying a dollar every time I wanted to wash a load when it was free at my parent's. Plus sometimes my mom would wash it for me. 12. When I got married, I dropped my old middle name and moved my maiden name to my middle name. Matt still calls me Alyssa Jo though. 13. I still sleep with a special blanket. Matt rolls his eyes and I think he briefly tried to get me to get rid of it when he moved in but I still have it. 14. When I eat Lucky Charms (this reminds me, I haven't had any in a long time! ), I save one of each marshmallow till the very end and then I eat them in order as I sing the song. I know you know it--hearts, stars, horseshoes, clovers, and blue moons, pots of gold, rainbows, and me red balloons. 15. I hate maple syrup. I eat my pancakes with butter. That's it. 16. Also jelly. It's gross. Peanut butter and bread. Why do you need anything else on it? 17. Matt calls me a condiment hater because of the above and because I also dislike mustard and don't eat ketchup on most things. 18. 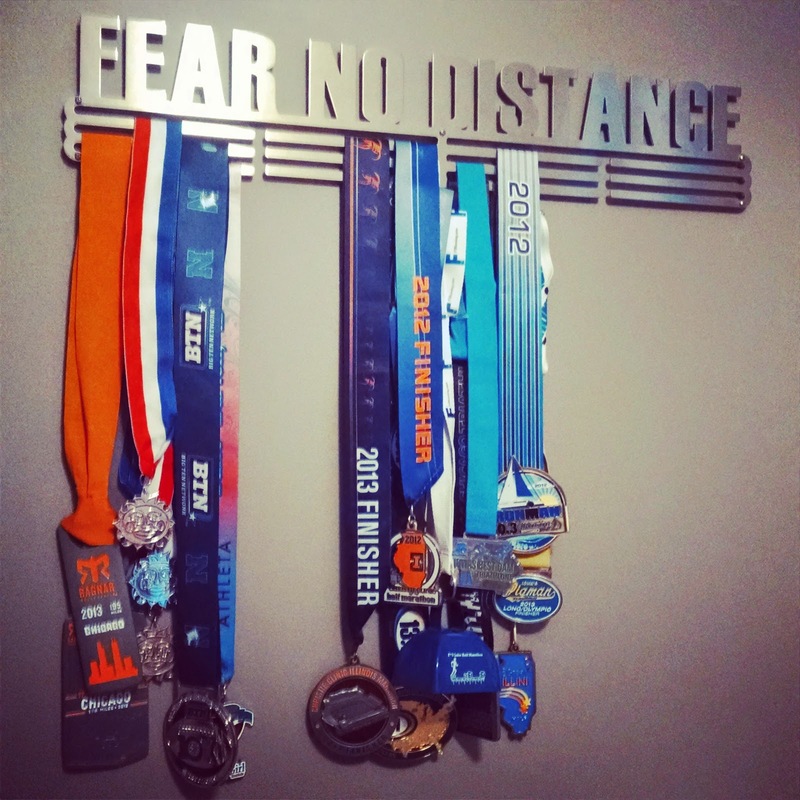 We finally got around to hanging up my medal rack this weekend. I had to leave so Matt painstakingly hung up my medals in the same order that I had them by looking at my old instagram pictures. 19. I am kind of particular if you hadn't picked up on that yet. 20. For a while I tried convincing myself that I liked almond milk and almond butter better than the original cow's milk and peanut butter. I think it was because I read too many healthy living blogs. I am back to the good stuff now. 21. 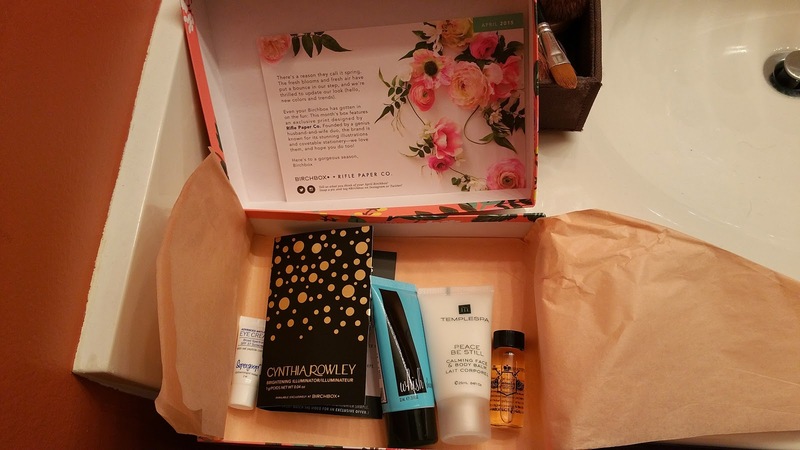 My coworkers convinced me to try Birchbox. I just got my first box on Friday. Definitely a great idea. My hair smells really good right now. 22. I have not seen any of the Lord of the Rings movies. Nor do I intend to. 23. Ice cream is better than frozen yogurt. Toppings are cool but so are blizzards. 24. We got a new washing machine in our apartment today. I have a load of towels washing in it as I type. 25. I just asked Matt for a fact about me and he says "You are a closet gamer." I'm going to pretend I don't know what he is talking about. 26. My 26th year was a really great year. I finished an Ironman, got married, moved, and went on a honeymoon. But I hope 27 will be a little less busy than 26. 27. This is really hard. Matt is 46 days older than me.